Too … Or in the parlance I’m sure a career politician like her royal highness would prefer FRIT. 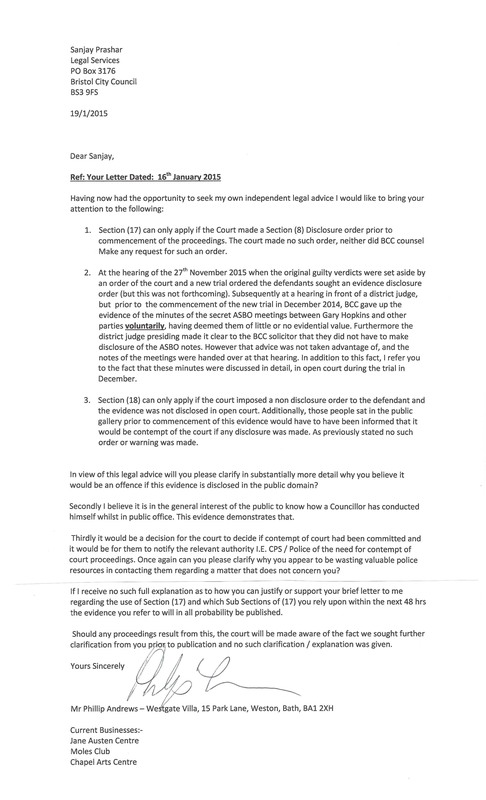 I am disgusted by the behaviour of legal services towards the supporters of Ms Simmonite against the council. Freedom of speech is what makes this country great. Bristol City council have paid out nearly £890,000 in gagging orders over the last few years and continue to threaten anyone who wants to expose the truth about the lies in the council. I am not proud of our council. It has never been a pillar of integrity. I ts the people of Bristol who deserve the credit.